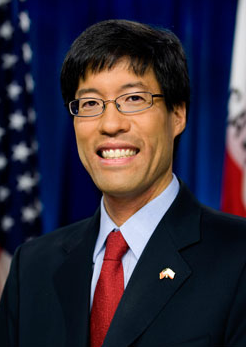 SACRAMENTO — Following the release of statewide statistics showing that a 2013 law by State Sen. Richard Pan (D-Sacramento) has led to a dramatic 20 percent decrease in parents opting out of vaccinating their kindergarteners, reversing a decade-long trend, he announced plans on Jan. 27 to introduce a bill to notify parents of their child’s school vaccination rates. “As a pediatrician, I have personally witnessed children suffering life-long injury and death from vaccine-preventable infection,” said Pan. 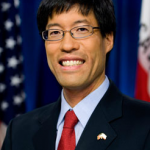 “While I am pleased that more families are choosing to immunize their children and the statewide rates are going in the right direction, it is important to know that there are pockets of the state where the low vaccination rates continue to put children at risk. In many communities across the state, over 10 percent of parents are using California’s personal belief exemption to opt their child out of vaccine requirements that bipartisan legislative majorities passed to protect students. Under AB 2109, starting in January of 2014, parents who exempt a child from school vaccinations must first talk with a licensed health care practitioner about the impacts to their child and community. In the first year the state law was implemented, 20 percent fewer parents used the personal belief exemption compared with last year. “As health care advocates, we have an obligation to ensure that accurate information about vaccines is getting to parents and the public – AB 2109 helped make that happen,” said Catherine Flores-Martin, director of the California Immunization Coalition. Pan plans introduce a measure this year to notify parents of their child’s school immunization rates as well as what public health officials recommend the vaccinate rate should be in order to protect people who cannot be vaccinated for medical reasons, including chemotherapy patients, babies or those with HIV or other conditions. “When a contagion spreads in a community with immunization rates below 90 percent the protection provided by ‘herd immunity’ can be at risk. This means not only those who choose to be unimmunized may become infected, but also people who cannot be immunized, including infants, too young to have received important vaccines,” said Kris Calvin, chief executive officer of the American Academy of Pediatrics, California.